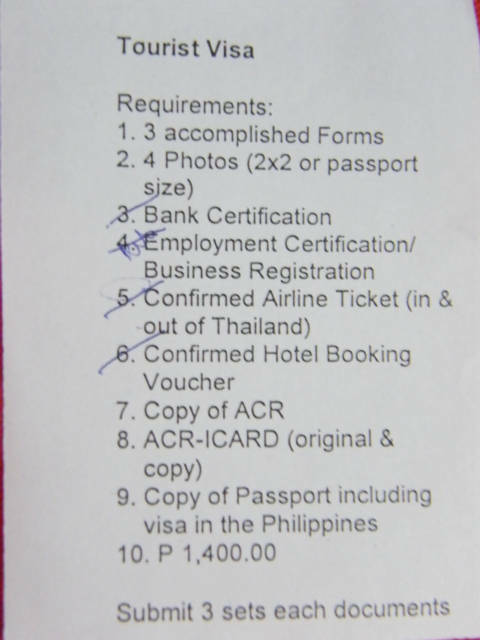 I applied and received what is supposed to be a three-month visa to Thailand from the Thailand Embassy here in Manila, Philippines. A person can only stay now in Thailand 90 days, after that period they have to leave the country and apply for visa. Cost about 1400 Peso for Visa and maybe 450 pesos in Taxi fees, the time was four days more or less with time needed to prepare. This is the list of requirement, not all were required as an American citizen. I also need to my drivers license to give at the check in desk as an exchange to enter and get an entrance tag. I would not say this was easy; the onward ticket was over the edge, I personally think that visas are granted in the rules of what they would require from a Philippines person. I tend to think in Singapore it would be easier because Singapore citizens can travel easier. More or less rules are applied as if I was from the Philippines. 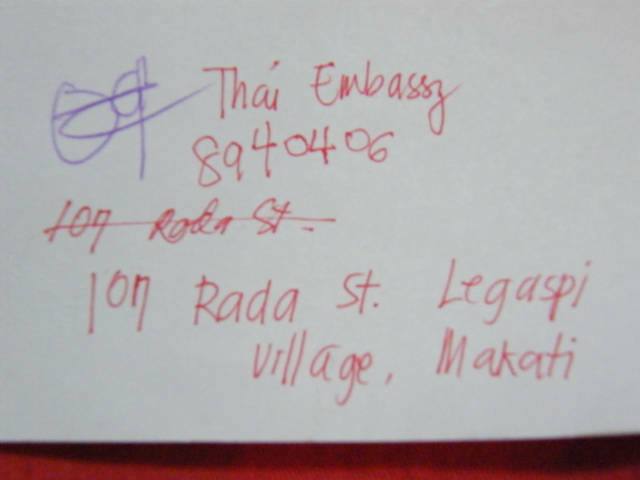 This is where the Thailand Embassy is located in Manila as of January 2008. Give to a Taxi in the Malate, Ermita, Mabini area and the taximeter if they do not cheat you is about 100-150 pesos. In Makati where this is located would be cheap.